​According to ESPN's Brian Windhorst, the King's athletic and dietary regimen may have slipped up the past six weeks or so, ever since the groin injury ​LeBron James suffered Christmas Day vs. the Warriors. Windhorst says that the "word on the street" is that James gained 30 pounds (!) since the injury. And I'm assuming that's not 30 pounds of muscle. That type of sizable weight gain will really throw a professional athlete off their rhythm in any sport, not just on the basketball court. 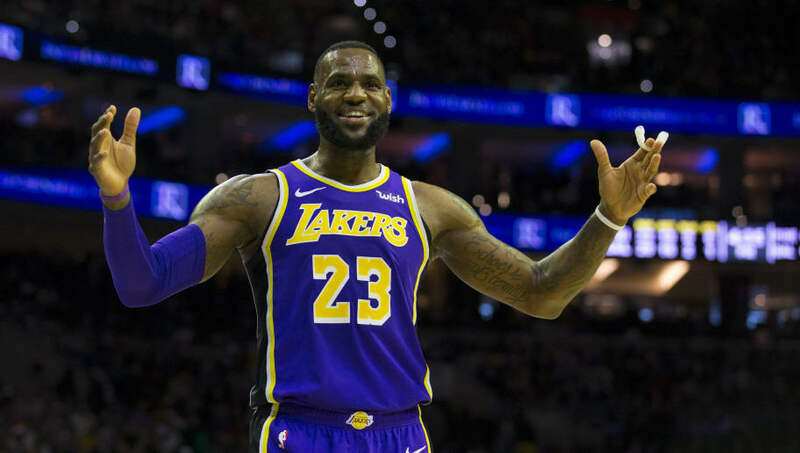 Now more than ever, the Lakers cannot afford for LeBron to be anything but his best, as Los Angeles holds a sub .500 record as we head into the All-Star break. ​​Is the King getting complacent? Was he not training his body while he was out of the Lakers' lineup? You hate to speculate, but let's remember that he did show up to a Dec. 28 matchup vs. the Clippers in street clothes ​with a glass of red wine in hand. If that is any indication, it appeared the King was making the most of his more than month-long break from the court. Now, LeBron will be forced to slim down in hopes of turning around the train wreck in LA.